Organizations don't know how to sell themselves. So, for Ontario Clean Water Agency, we developed a web site that demonstrated their unique advantages. Now Ontarians are drinking in the message. The Ontario Clean Water Agency provides various water-related functions for municipalities across Ontario, such as water treatment, wastewater management and facilities management services. As a government-mandated association, OCWA was answerable to the people of Ontario. However, OCWA didn't have a clear voice or value proposition in the minds of the community decision-makers who could use their services. 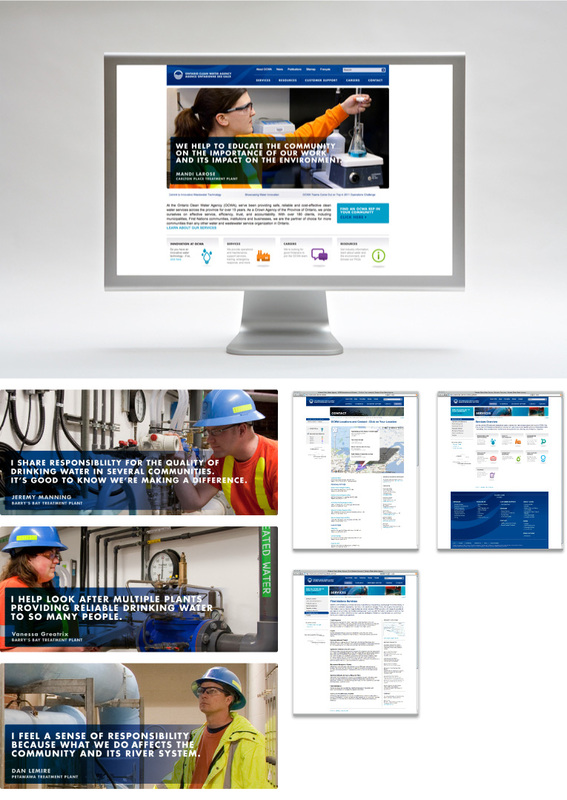 When the organization asked Company B to develop their web site, the challenge was clear: tell OCWA's story in a way that demonstrated its worth. Because OCWA was accountable to the people of Ontario, it was clear that the organization's value proposition was “trust.” But trust isn't something you can see or touch. OCWA needed a way to make the idea of trust real. As it turned out, many OCWA employees lived within the same communities in which they worked. And so our web site concept was built around OCWA's people. The site featured several of the organization's employees talking about what they did at OCWA, in their own words. People could trust that OCWA employees were committed to providing clean and safe water, because it was their water too. We help you communicate, clearly and effectively. No matter your message, your audience or the unique challenges you face, we’ll help you figure out what to say, where to say it and how to say it best. If your organization could use this kind of thinking, let’s talk. Give Christopher MacFarlane a call at 416 489 6500 extension 201.